I just started re-reading the book Having a Mary Heart in a Martha World by Joanna Weaver for our summer book club at church. I remember it being so good about ten years ago when I first read it, and I know that God desires to use it to shape my heart for Him as I read it again. When I think about Mary sitting at the feet of Jesus in Luke 10:38-42 a calm sweeps over me that I long to have each day. But too often I am like her sister Martha - scurrying about to get things done and missing some important moments in front of me! 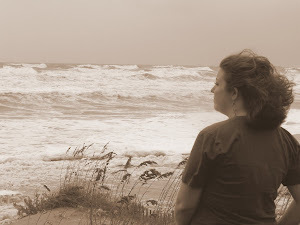 Over the last year especially I have felt God prompting me to simply "be still" before Him (Psalm 46:10) and allow Him to speak into the seemingly mundane moments of my day as well as the frantically busy moments I have often. But I still continue to fight being still! In contemplating Mary's spirit before the Lord, God has prompted me with the reminder to have a teachable spirit before Him as I seek to learn to be still. It can be easy to spot an unteachable spirit in those who may know less about certain subjects than I do, but can I admit to not always having a teachable spirit before the Lord? Admitting you have a problem is the first step, right? So here is where humility has to step in. In order to have a teachable spirit before the Lord, we have to humbly admit that He knows so much more than we can possibly even begin to fathom with our human brains! (See Isaiah 55:8-9). And we as humans do not like to admit our shortcomings. But it is there in our weakness that Christ is made strong (2 Corinthians 12:9). And we are made strong as we allow Him to do a work in our lives for which He alone knows the blueprint (Ephesians 2:10). It can seem so ridiculous to me when my son is unwilling to listen to me for help with things he is just beginning to learn, so I can't imagine God's thoughts when I am too stubborn to just listen to Him for infinitely greater wisdom. Don't you just love it when God gives you a picture of yourself in a small child? Ugh! Lord, help me to have a teachable spirit that can be molded by you, ready to be used for you! Now the birth of Jesus Christ took place in this way. When his mother Mary had been betrothed to Joseph, before they came together she was found to be with child from the Holy Spirit. And her husband Joseph, being a just man and unwilling to put her to shame, resolved to divorce her quietly. But as he considered these things, behold, an angel of the Lord appeared to him in a dream, saying, "Joseph, son of David, do not fear to take Mary as your wife, for that which is conceived in her is from the Holy Spirit. She will bear a son, and you shall call his name Jesus, for he will save his people from their sins." I got in the car today and headed to the next town, but something just wasn't right. My car didn't want to stay at the same speed today, it just kept slowing down. I'd speed up again and set my cruise control, only to have the car slowing down again. Then I realized what was wrong. My cruise control wasn't working. I tried at least 5 more times to get it to work, but as much as I wanted it to, something was just not right. Pretty much anytime I'm driving on the interstate, I set my car on cruise control. Even if it's just for a few miles, it's become somewhat of a habit. I set the car on cruise and just relax my foot for the drive. Too often I find myself just letting my brain go on cruise control as well and that's when the problem starts. I remember the last time I was pulled over was on a Sunday morning. Yes. It was about a year ago and I was taking the very familiar drive to church, about to turn on the interstate when I saw the flashing lights. And it felt as though my heart just stopped. And when it started again I realized I had been completely lost in my thoughts, just letting the car drive me to my destination. Bad things happen when we just let ourselves mentally "coast" while driving and in life. Thankfully, that morning, the "bad thing" became a good thing because it came in the form of a warning. Cruise control (sometimes known as speed control or autocruise) is a system that automatically controls the speed of a motor vehicle. The system takes over the throttle of the car to maintain a steady speed as set by the driver. Yes. This is just a definition about a device, but I think the key is how something else "takes over" the course that the driver has set. When I use cruise control, my foot is essentially not in control of the speed of the car for as long as I let the cruise control it. It's funny because I really use cruise control to keep me out of trouble by keeping my speed in check. But when I let my mind wander, there's where the problem comes in. And this is what I was thinking about today...when I was jolted by the fact that my usual way wasn't working...for too long I have been on cruise control spiritually. We were never meant to cruise through life without consideration. In fact, we are warned in 1 Peter 5:8 to "be sober, be vigilant; because your adversary the devil walks about like a roaring lion, seeking whom he may devour." For me, I'm realizing now how I have been on cruise control in several areas of my life. Food is a big one. So now, I'm having to be on extra alert to make changes that would have been more apparent had I been watchful for the enemy trying to fill me with physical pleasures instead of the spiritual pleasures I was made for. I can tell this is going to be a tough journey because cruise control has become my norm. So as you pray for me, I will be praying for you. What areas of your life have you placed on cruise control? Together, let's be watchful of how the enemy is seeking to devour areas of our lives that belong to God! I'm right there beside you trying to keep my foot on the pedal...or better yet...letting God take control. 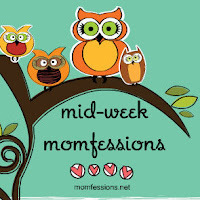 My momfession this week is...I want my child to be organized! And he seems to be jumping on board...I love it! When I thought Elijah was playing with his trains in his room this morning he was actually organizing his train accessories and his cars. Reason #3498 why I love that kid! Have a "momfession" of your own? Join in at my friend Sheila's blog! I'm a biblical counseling, piano teaching wife to my music ministering husband, Justin and a cloth-diapering, baby food making mom to my always moving one-year-old son, Elijah. Whew! No wonder I don't blog often enough! If you want to earn free prizes...click below!